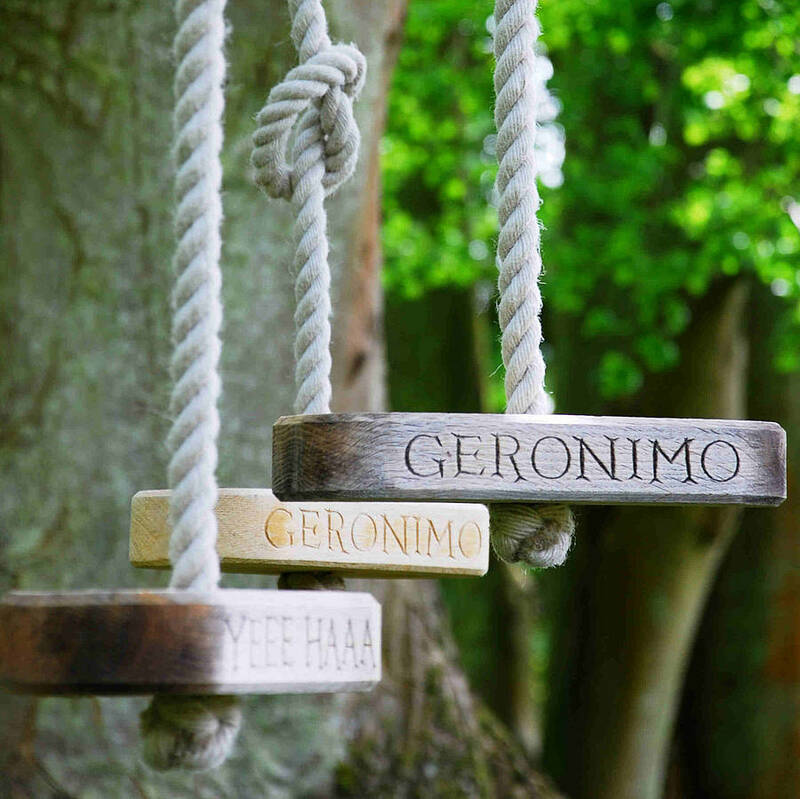 An English made, English oak swing with 500cm drop of English crafted rope. Hand carved with either GERONIMO or YEEE HAAA. Despatch is on a Wednesday to arrive by courier on Thursday. Being out in all seasons the oak is intended to silver with age. This product is dispatched to you by Marnie Moyle. 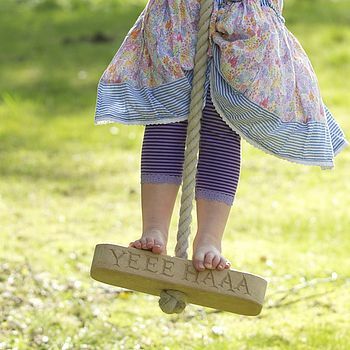 The Geronimo or Yeee Haaa swing is despatched on Wednesdays to arrive on Thursday by courier.